← DID YOU MISS PARANORMAL EH?’S ONE YEAR ANNIVERSARY SHOW? GRAB A BEER AND LISTEN HERE! HOW COOL IS THIS READER PHOTO? 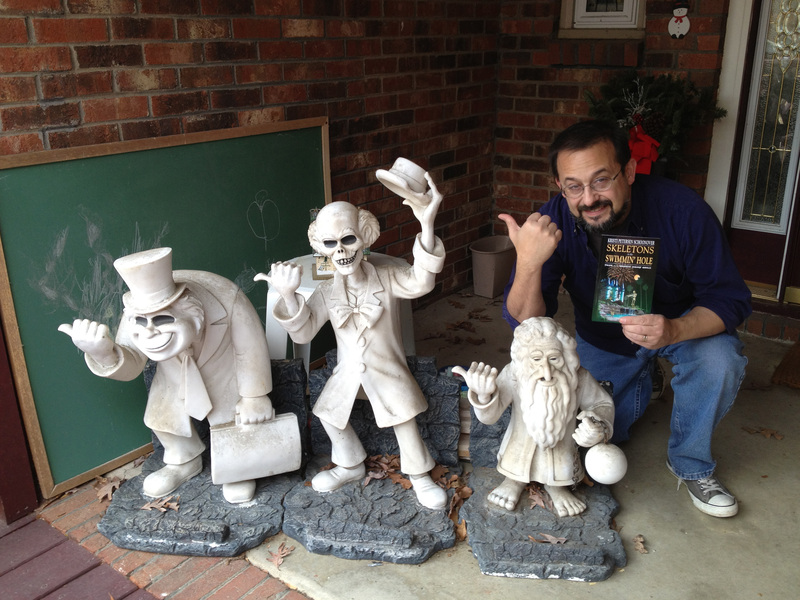 TOYS FOR TOTS HORROR STYLE WINNER HOOKS UP SKELETONS AND THE HITCHHIKING GHOSTS! Paul Cardullo, of Knightdale, North Carolina, was the winner of Toys for Tots ~ Horror Style 2011! To enter, contestants donated to Toys for Tots and took photos of themselves doing it–the prize, selected by random drawing, was a horror library donated by several authors. Skeletons in the Swimmin’ Hole—Tales from Haunted Disney World was part of that library, and here’s Paul, on his porch, showing us that hey…those hitchhiking ghosts might have something following them home. Thanks for sending this in, Paul! Posted on January 23, 2012, in News, Skeletons in the Swimmin' Hole -- Tales from Haunted Disney World and tagged Disney Parks, Hitchhiking Ghosts, Toys for Tots Horror Style, Walt Disney World Haunted Mansion. Bookmark the permalink. Leave a comment.